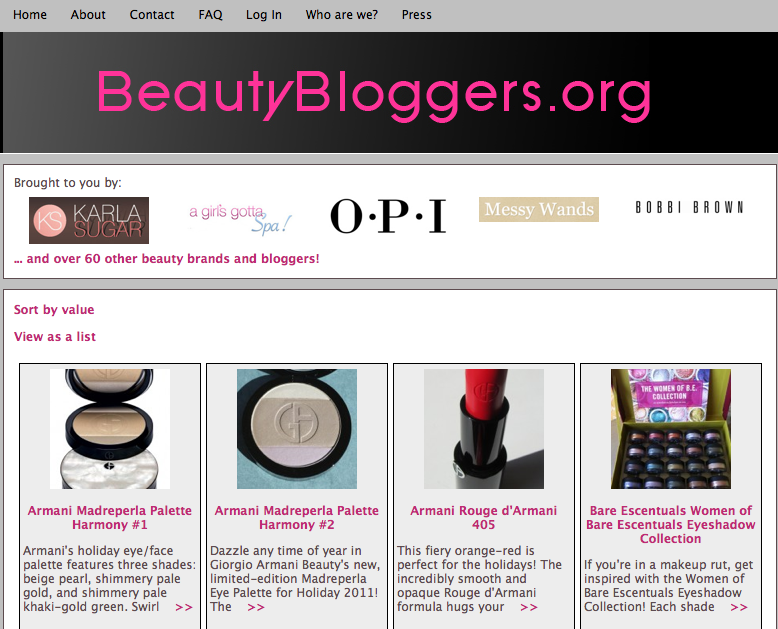 I am proud to announce that Messy Wands is part of the Beautybloggers.org second annual charity auction! I am the last blogger in the world to be announcing my participation as the others have already blogged about this weeks in advance. Let my late posting be your absolute last reminder that it will go live tomorrow, November 28 and last through December 12. 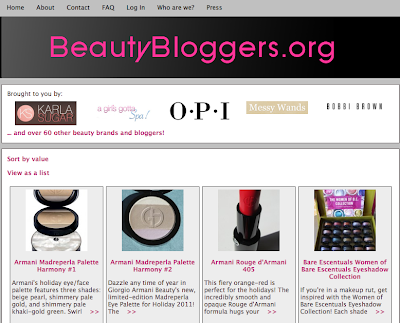 For those who aren't familiar with the auction, O Queen of Swatching Karla Sugar organized the same event last year, where she gathered beauty companies and bloggers to donate some (oft rare and discontinued) items to this charity event, where the proceeds will completely benefit Doctors Without Borders. Some of this year's treasures include two of Chanel's discontinued polishes, the limited edition Karla Sugar lip gloss by Le Métier de Beauté, the eternally sought after MAC Stereo Rose and Marine Life (! ), the discontinued Rescue Beauty Lounge Recycle, and the entire Le Métier de Beauté Peau Vierge skincare line (!!!). My own contribution is Le Métier de Beauté Modernist Merlot, created exclusively for Neiman Marcus Fashion Island to celebrate Fashion's Night Out. 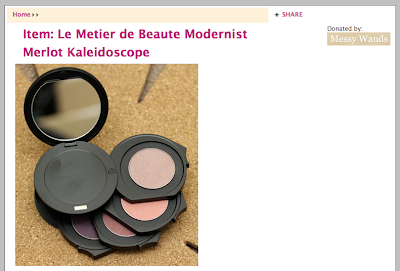 While I was not able to review it, Best Things in Beauty and Raeview have both done fabulous write-ups with great pictures and swatches, so I encourage you to head over and see if Modernist Merlot tickles your fancy. In light of the recent Come One, Come All fiasco, where three of the colors are exact duplicates from recent kaleidoscopes (I don't know if we will ever have time to discuss this, though I would love to hear your thoughts in the comments), I made sure to compare Modernist Merlot to every single kaleidoscope I owned. I am currently in the process of asking Karla to make a correction to my listing. The third shade of Modernist Merlot is the same as the one in Silk Road. The other three shades are original. That said, the complete effect of layering Modernist Merlot from top to bottom produces an entirely different look compared to Silk Road and the fourteen other kaleidoscopes I own (unlike what you get with Come One, Come all). It is a worthy palette for a worthy cause, and I hope you will add my humble contribution to your list of bids. Congratulations on being part of such a worthy cause. I must confess Modernist Merlot is calling my name, but I already have Silk Road and Come One, Come All, and am waiting on Antiquite Poupee. (Did yours arrive? There was no sign of it in the mail, and Dustin personally confirmed my reservation.) I may go for the Karla Sugar lip gloss instead as I am a sucker for oranges and corals despite their being difficult for my skin tone. As for the whole LMdB repeat shades debacle, I'm not too upset about it since, as you said, the final look of each kaleidoscope is different. However, I do think that giving the shades in question different names was misleading. LMdB should have given the shades the same name across kaleidoscopes so that customers would know exactly what they're purchasing. I picked mine up personally! Got to go to New York for Thanksgiving :) Don't know if you saw my twitpic two days ago - if not, you're in for a treat! I have Karla Sugar. It's sheer as all lip brilliances are, but quite lovely. Gotcha. Guess it's time for me to get around to signing up for Twitter. 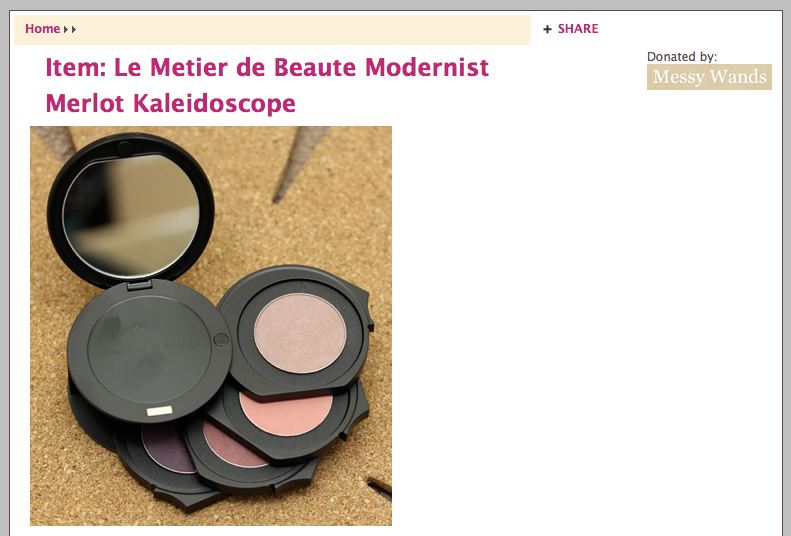 The new kaleidoscope is on it's way to me.... Are you quite pleased with yours? I am a bit nervous about the top shades being rather similar to the Come One Come All, but keeping fingers crossed! katie- I spoke to Dustin about it. The second shade is a dupe of the one in COCA/Splendid Frost but he needed it to get the final effect he wanted (methinks the "sterling" quality comes from this second shade). As I mentioned about Modernist Merlot, when layered they look completely different, and personally part of the reason I invest in kaleidoscopes is because I know I'll never be able to come up with those combinations myself (nevermind that these are limited edition colors :P). I don't want to sound like I'm defending Antiquite Poupee just because the creator's my friend, but i do know how he works to choose the colors, so rest assured the dupe is not due to him cutting corners or anything like that.